Illuminate your holiday village with the cheerful glow of our village street lamps, luminaries, and light strings by Department 56! We carry charming miniature lighting options to suit any wintry scene. Several of our village lampposts display curling wrought iron style, while others are decorated with snowmen, holiday garlands, and other seasonal touches. Village luminaries are perfect for lining the sidewalks and streets of your miniature town, while colorful strings of Christmas lights look fantastic draped around your scene. Other unique holiday lighting options suit North Pole settings perfectly, featuring Nutcracker soldiers, Christmas candles, peppermint candies, and gumdrops in their designs. These village accessories provide charm and realism to your holiday display, so pick out your favorites for your wintry landscape! Many will agree that it is not the Christmas season until colorful lights are twinkling all around. 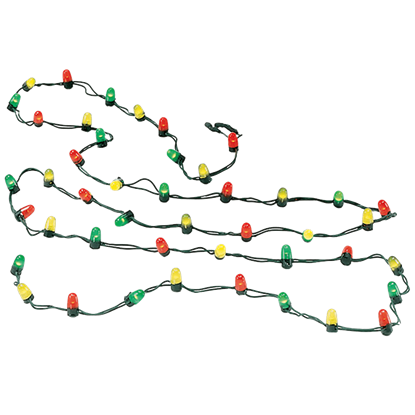 Give your Christmas village a dose of glowing illumination by winding this Battery Operated LED Christmas Light Strand through it! From strings of popcorn to evergreen wreaths, some of the most memorable Christmas decorations are the ones we make ourselves. These Classic Luminaries will bring the charm of a homemade holiday light to your village walkways. After all of the hard work you have put into creating the perfect Christmas village, make sure it can be seen even in the dark with these Double Street Lamps! 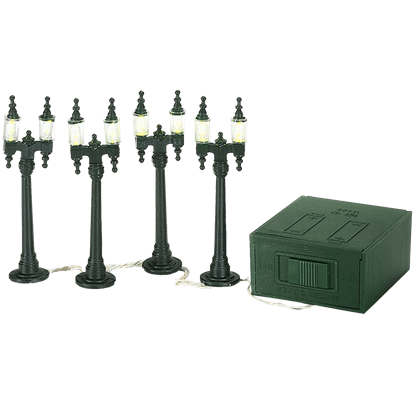 The set of lamps will cast a beautiful glow over your town display. Create the Christmas village of your dreams with the help of these Fifty-Six Street Lights! 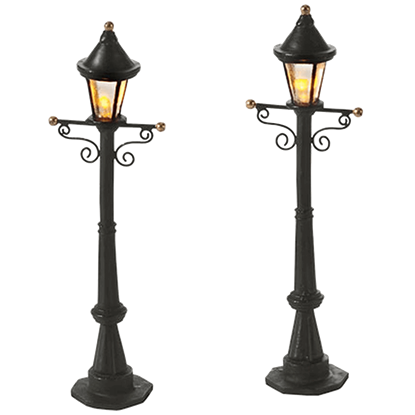 The sophisticated style and illumination of these lights will add a glamorous touch to the streets and homes of your village display. In the magical land of Gumdrop Park, absolutely everything is made out of sugary candy. Even the lights! 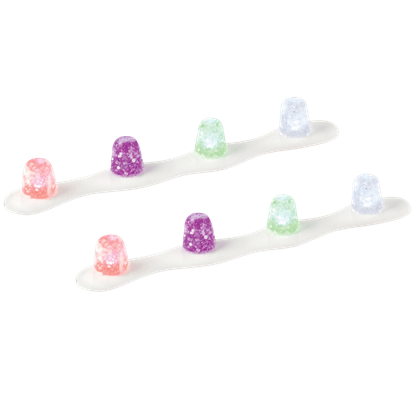 Keep your cute and whimsical Christmas village glowing as you line your walkways with these Gumdrop Park Lit Luminaries. 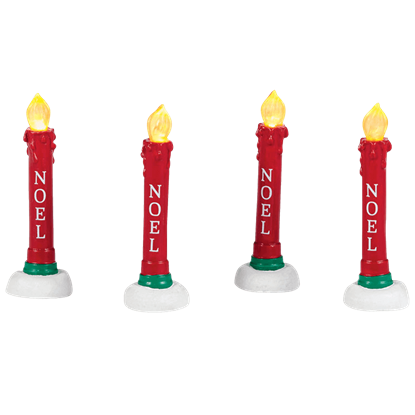 Bring the nostalgia of a classic Christmas decoration into your village scene with this Lit Noel Candles Yard Decor. 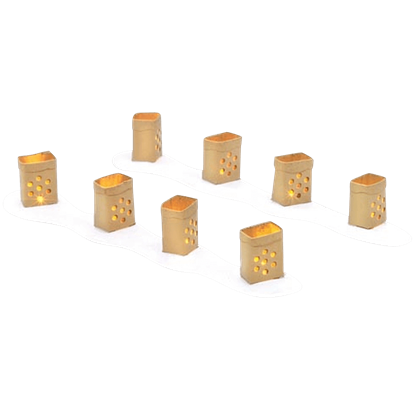 These candles look fantastic grouped all together, lining a walkway, or spread out throughout your entire village. 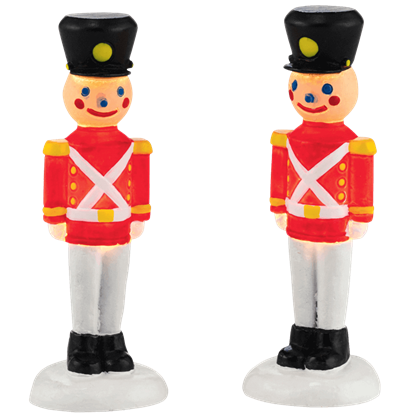 A popular holiday decoration for hundreds of years, toy soldiers remind us of the fun that comes with the Christmas season. Place this Lit Soldiers Yard Decor in front of any residence in your Christmas village for a whimsical accent. One of the best parts of the holiday season is, of course, the candy! 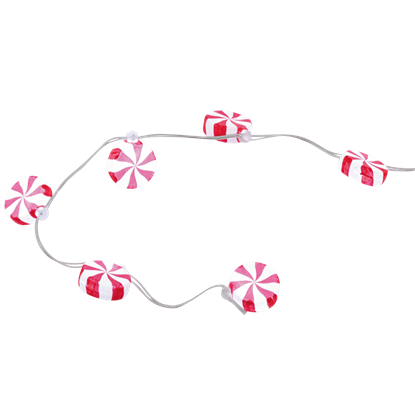 For those who love the delicious taste and adorable look of peppermints, this Peppermint Light String is a fantastic way to light up the pieces in your village. 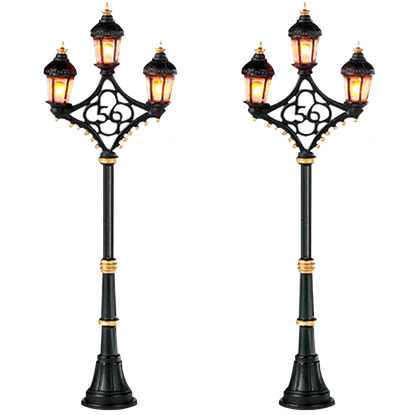 If you want your Christmas village to boast old-fashioned charm, then you will be sure to want these Small Town Street Lamps to provide light for your villagers. Classic elegance and a warm glow will be provided by this lamp set. This quaint little village looks elegant all the year through, but come Christmastime it becomes a winter wonderland! 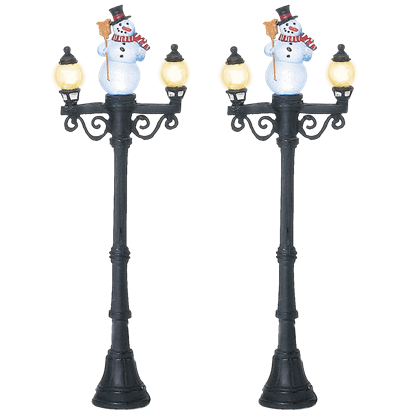 Decorate your Christmas village scene with these Snowman Street Lamps and let the whole town glow with holiday fun. No colors are more iconic of the Christmas season than red and green. 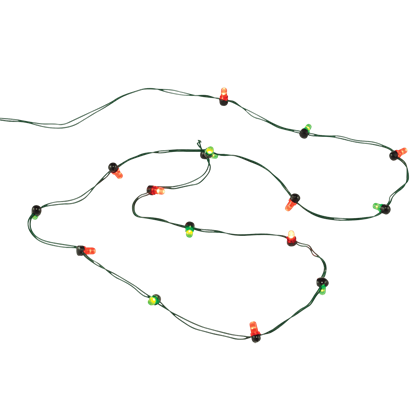 That being said, make sure your Christmas village includes this String of Red and Green Lights to add the glow of the holiday to every piece in your display. Give your villagers some light as they go shopping in the chic part of town with these Uptown Street Lights! 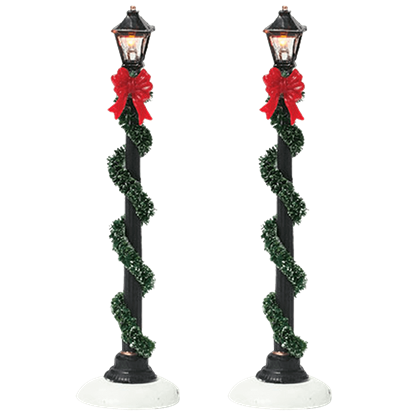 The elegant design of these classy lights make them perfect for implementing into just about any Christmas town display.